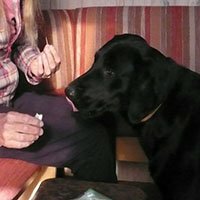 Everything you need to know to start using essential oils for your animals' health and well-being, safely and effectively. GET ACCESS TO THIS COURSE FOR FREE! Subscribe to join our learning community and get your free course coupon. You are almost there! To enrol in the free course, go to the description above to subscribe to our Free Course offer by filling your Name and Email to get your free course coupon. If you already have your free course coupon go to the checkout and apply it! You will receive a link to the course in an email. You must be logged in to the site to access the course, and you can always find it in "My courses" (top right-hand menu bar) once logged in. Everything you need to know to use essential oils for your dogs' daily care and wellbeing. Learn how Five Element Theory can help you keep your animals healthy & happy. Ancient wisdom for today's natural animal guardian. Learn how to use essential oils for animals with this certificate course. Animal PsychAromatica is a complete animal wellness system using essential oils, TCM and holistic animal management. 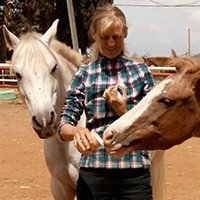 Professional standard certificate course in APA, the total animal wellness system that includes essential oils and TCM. Enrol in both Level 1 and 2 of the Animal PsychAromatica certificate course and get 50% off APA 1. 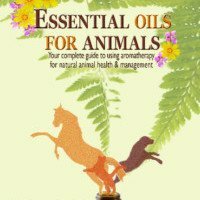 THE BEST book on essential oils for animals. Clear, comprehensive information that will help you keep your furry friends shining with health. 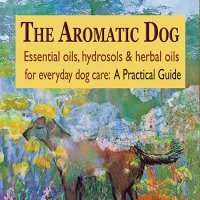 Written in a clear, simple to follow format, by one of the world's foremost aromatic experts, this book is a must have for anyone who wants their dog live a long healthy life. Select which version you would like below.